Obituary for Benjamin Lester Cusic,Sr. 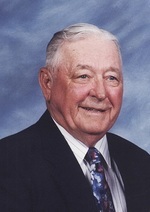 Benjamin “Lester” Cusic, Sr., 93 of Leonardtown, MD passed away on February 8, 2018 in his home in Leonardtown, MD. Born on September 20, 1924 in Leonardtown, MD he was the son of the late Pearl Elizabeth Bussler Cusic and Richard Stephen Cusic. Lester was the loving husband of Frances Idalia Cusic whom he married on June 15, 1948 in Leonardtown, MD. He is survived by his children: Gail Fletcher (Jim) of Leonardtown, MD, Ben Cusic of Leonardtown, MD, Deborah Swann (Tommy) of Piney Point, MD, Marlene Long (David) of St. Mary’s City, MD and Ken Cusic (Jane) of Leonardtown, MD. 8 Grandchildren and 8 Great-Grandchildren. Siblings: Lawrence Cusic (Thelma) of Leonardtown, MD, Betty Ann Spalding (Bubby) of Leonardtown, MD and Sister-in-law, Mary Cusic. Lester was preceded in death by his Siblings: Lloyd Cusic, Melvin Cusic, Richard Cusic and John Cusic. Lester was a lifelong St. Mary’s County, MD resident. He graduated from Margaret Brent High School in 1943. He co-owned and drove a stock car locally #88. He was an avid hunter owning several pointer bird dogs. He regularly participated in field trials aboard Patuxent Naval Air Station winning multiple competitions. He was a founding member of the Rod and Gun Club. He helped build the hunting club. He enjoyed going on hunting trips to Mississippi, West Virginia, Pennsylvania, and Nebraska with all of his old hunting buddies. He continued to hunt until his mid-eighties with his last hunt he killed two bucks and some bark off the pine tree. He would also go on several fishing trips to the Eastern Shore and locally. While working for C&P Telephone Company he was credited for looking up the first dial up telephone in St. Mary’s County. He worked his way up to the position of Manager becoming a PBX foreman. While in this position he oversaw all the telephones on business and all local military bases. He was a member of the telephone pioneers. He was the Past President of Southern Maryland Counsel of the Pioneers. Upon retiring, he and his wife Teenie would travel to Florida for the winters. They had met and made friends from all over the country. They continued being snowbirds for over 25 years. He enjoyed the NASCAR races attending several Daytona races. He enjoyed playing golf, shuffle board, and riding his gator and golf cart. Lester took pride in helping to build his new home by operating heavy equipment even though he was in his mid-eighties. Some of his favorite times were spent with his children and grandchildren. The Family will receive friends on Thursday, February 15, 2018 from 5:00-8:00 PM with prayers recited at 6:30 PM in the Mattingley-Gardiner Funeral Home, Leonardtown, MD. A Mass of Christian Burial will be celebrated on Friday, February 16, 2018 at 10:00 AM in St. Francis Xavier Catholic Church in Compton, MD with Father Rob Marow officiating. Interment will be Private. Pallbearers will be: Bryan Swann, Michael Swann, Dale Spalding, Kyle Cusic, Lamar Lehman and Jason Fletcher. To send flowers to the family of Benjamin Lester Cusic,Sr. , please visit our Heartfelt Sympathies Store.